Ready to Face a Japanese Warrior? Recreated from the Art of Sumo Wrestling, our New Sumo Suits are designed for All to Enjoy! 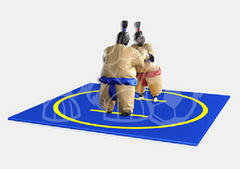 Enter our Dohyo and experience Endless Laughs and Priceless Memories with a Set of Sumo Suits Today! !